The womb is supposed to be the safest place on earth for the fetus, but what if maternal choices cause DNA changes that affect offspring for a lifetime? That's just what researchers from the Mailman School of Public Health recently reported in a study published in PLoS One. Environmental factors and maternal BMI affect DNA methylation. 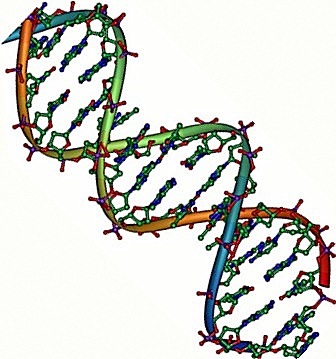 DNA methylation is thought to have a connection with DNA damage. Environmental factors like contact with lead, arsenic and pollutants have long been studied for possible impact on maternal and fetal health. We know these environmental factors pose risk to the fetus, but researchers have now connected these factors with potentially permanent DNA damage through DNA methylation. Environmental factors make small changes in DNA methylation and researchers are not quite sure of the impact these small mutations will have on life in childhood, teens and adulthood, but they do believe there could be a lasting effect on overall health. What was more interested was the inverse connection between maternal BMI and DNA methylation. Multiple studies report negative effects of high maternal BMI on fetal health - effects that cause health problems throughout life for offspring, but in this case higher BMI leads to less DNA methylation. Researchers are unsure why increased maternal BMI has a protective effect for the fetus. Source: Julie B. Herbstman, Shuang Wang, Frederica P. Perera, Sally A. Lederman, Julia Vishnevetsky, Andrew G. Rundle, Lori A. Hoepner, Lirong Qu, Deliang Tang. Predictors and Consequences of Global DNA Methylation in Cord Blood and at Three Years. PLoS ONE, 2013; 8 (9): e72824 DOI: 10.1371/journal.pone.0072824. Previous: Can Light Drinking Affect Fetal Development?